Description: Brand new. Perfect for Railway & Building Layout! Complete with wires and LEDs and can be lighted. These Lampposts are suitable for use at supply voltages of 3V only. Made with white LEDs. DO NOT use them on 12V or 16V directely to avoid damaging the LED. 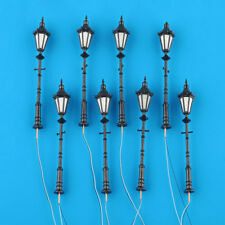 You must connect a resistor in series before you will use them on 12V or 16V Pre-wired black lamp posts with hexagon shaped lamp shade. Brighten the streets and add life to your G scale layout. Molded-in realistic details. Scale: 1:22. Emitting color: Warm White. Believed to be G Gauge. The lens part of the lamp is loose and will require gluing back in. Scalextric Cars. Tamiya RC Cars. TOP categories. Sylvanian Familes. Sylvanian Families. Plastic Model Kits. Description Brand new. Perfect for Building Layout! Complete with wires and LEDs Inside and can be lighted. These Lampposts are suitable for use at supply voltages of 3V . Made with white LEDs. DO NOT use them on 12V or 16V directely to avoid damaging the LED. You must connect a resistor(not included) in series before you will use them on 12V or 16V. Description: Condition: 100% new. Complete with wires and LED and can be lighted. 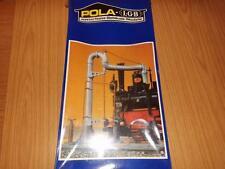 Features: Size: about 43mm Scale: 1:25,Suitable for G scale etc.... Color: Black. Operating Voltage: 3V Operating Current: 20mA. Material: Plastic. Beli-BECO 110031 Lantern G height 210 mm for exterior factory new. Height: 210 mm. Give us a call! SR-24 model train oil. Current consumption: 60 mA. Bulb: E 5,5 K5, 19 V. This item is not suitable for persons under 15 years. Br331-0, 5 #2x Beli ( Beco ) G Scale (?). 2001 Lamp/Lamp (D=3,8 cm), Nip. Marke Beli. -for 19 volts low power. Eine günstige Lok für den Spielbahner, ein Vitrinen-Modell im Original-Karton für den Sammler, Bastlerware für den Schrauber, oder ein Reste-Konvolut für den Landschaftsbauer?. Superb and beautifully detailed dollhouse miniature LED table lamp model. - Best for doll house, room box, house model. - Type: Table Lamp Model. 2 x Table Lamp Models. Due to the light and screen setting difference, the item's color may be slightly different from the pictures. Ideal for connection to digital decoder in Locomotives, Railcars, Wendezug more. Luminosity - red approx. 4000mcd and warm white approx. 10 pieces DUO bi-color LEDs 5mm white / red - digital decoder. The connecting cable can also be shortened if necessary. The LED can be placed in the cab near the firebox rear wall. When driving a fire flickering will be simulated. A new highlight on your system - Simulate a fiery flicker in your boiler steam. Description: Brand new. Perfect for Building Layout! Complete with wires and LEDs Inside and can be lighted. These Lampposts are suitable for use at supply voltages of 3V . Made with white LEDs. DO NOT use them on 12V or 16V directely to avoid damaging the LED. 20 piece DUO bi-color LEDs 5mm warm white / red - digital decoder. Fiber optic / light leading chamfer. The LED has 2 colors red and warm white with common anode. Beam angle - 30 °. Light color - red and warm white. LED wagon lightings. 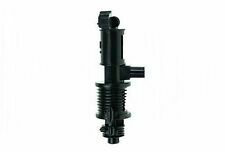 also ideal for illuminating eg canopy, interlocking, platform, houses / All type of buildings, interior lighting, etc. coach. analog digital max. 24V AC / DC. - With reverse polarity protection by the built-in bridge rectifier. Beli-BECO 120191 globe lamp G-gauge height 180 mm indoor factory. The prototypical narrow base in painted wood (plus a strip of double-sided tape to attach), this variant is more suitable for indoor plants. Ideal for connection to digital decoder in Locomotives, Railcars, Wendezug more. Luminosity - red approx. 4000mcd and yellow approx. 10 pieces DUO bi-color LEDs 5mm yellow / red - digital decoder. By the high luminosity of the LEDs - ideal suitable for large G Scale trains, 1 and 0 - very good illumination of the houses. 1x 50cm length LED model lighting with 30 warm white SMD LEDs - ULTRA LIGHT -. Description: Brand new. Perfect for Railway & Building Layout! Complete with wires and LEDs and can be lighted. These Lampposts are suitable for use at supply voltages of 3V only. Made with white LEDs. DO NOT use them on 12V or 16V directely to avoid damaging the LED. Pre-wired black lamp posts with hexagon shaped lamp shade. Brighten the streets and add life to your G scale layout. Molded-in realistic details. 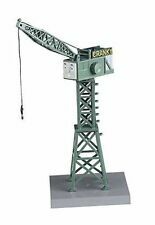 Features: Model train scenery or street layout accessories Nice quality working lamp with wiring Height: Approx. 3.74 inch / 9. Superb and beautifully detailed miniature Floor / Table lamp model. 2 x Floor Lamp Model. 2 x Table Lamp Model. - Best for doll house, room box, house model. - Scale：1/20. Design - 3mm. Fiber optic / light leading chamfer. The LED has 2 colors red and warm white with common anode. Light color - red and warm white. Luminosity - red approx. 1500mcd and warm white approx. Trees and landscaping. 5 piece parking lights / garden lights with LED - height 80mm B-Ware . LED wagon lightings. bulbs (LED white 3V 20mA). Fiber optic / light leading chamfer. Pro lamp is a resistor for the connection to 12 - 19V AC / DC is supplied. Fiber optic / light leading chamfer. Backlight module (taillight) with 5mm LEDs. This component is a work based on SMD technology, high-quality backlight module, specifically designed for optimal lighting circuit in carriages and wagons of gauge G, 1 and 0th. 10 piece of flashing LEDs 5mm yellow diffuse with connection cable and resistor for direct connection to 12-19V. At the two outputs and - then the LEDs hook up. Send to a bridge rectifier you can up to 75 LEDs with max. Trees and landscaping. 5 Pieces parking lights / garden lights with LED - height 60mm. LED wagon lightings. • from lamp Plastic. Pro lamp is a resistor for the connection to 12 - 19V AC / DC is supplied. Perfect to breathe a little more realism to the landscape. This wall / masonry see lanterns in both urban and rural areas great. LED wagon lightings. NEW - Now with LED ! • with LED white 3V / 20mA. Ideal for connection to digital decoder in Locomotives, Railcars, Wendezug more. Luminosity - red approx. 900mcd and white approx. Design - 3mm. Fiber optic / light leading chamfer. Beam angle - 30 °. 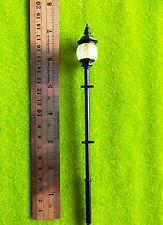 Superb and beautifully detailed miniature Floor lamp model. 2 x Floor Lamp Model. - Scale：1/20. Description: Brand new. Perfect for Railway & Building Layout! Complete with wires and LEDs and can be lighted. These Lampposts are suitable for use at supply voltages of 3V only. Made with white LEDs. DO NOT use them on 12V or 16V directely to avoid damaging the LED. You must connect a resistor(not included) in series before you will use them on 12V or 16V. Pre-wired black lamp posts with hexagon shaped lamp shade. Brighten the streets and add life to your G scale layout. Molded-in realistic details. S667 10 pc. 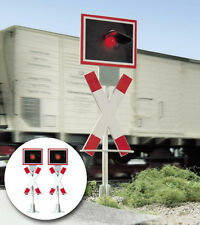 Ideal for eg directional lighting with Locomotives and Railcars, Wendezug more. for analog DC railways. Luminosity - ka. 10 piece DUO bi-color LEDs 5mm yellow / red light. The specified resistance values ​​are the minimum values. S665 10 Pc. Ideal for eg directional lighting with Locomotives and Railcars, Wendezug more. for analog DC railways. Luminosity - ka. The specified resistance values ​​are the minimum values. S666 20 pcs. Luminosity - ka. 20 piece DUO bi-color LEDs 5mm warm white / red clear. The specified resistance values ​​are the minimum values. If you want to reduce the luminosity, then simply use resistors with higher values. Scale: 1:25~1:32,Suitable for G scale etc. Complete with wires and LED and can be lighted. Rest of the world. Color: Black. Luminosity - red approx. 900mcd and yellow approx. 20 piece DUO bi-color LEDs 3mm yellow / red clear--> for digital decoder. Design - 3mm. Fiber optic / light leading chamfer. Beam angle - 30 °. Body Colour - clear. Ideal for connection to digital decoder in Locomotives, Railcars, Wendezug more. Luminosity - red approx. 1500mcd and yellow approx. 10 pieces DUO bi-color LEDs 3mm yellow / red diffused - for digital decoders.